I own a carpet Ckeaning company, so I know what works and what doesn’t. Shark vacuums are better than Dyson. Save your money. This is the best value for the best product. This is not the most lightweight vacuum but it does a fabulous job on hardf floors, carpet, dusting furniture and getting dog hair off upholstered items. Love the dusting brush! It has revolutionized how I get rid of dust on surfaces, curtains, etc once and for all! love the suction of this machine.. and love that is has attachment for stairs and can be easily moved with just the canister. Seems like it is going to be a great vacuum. Love this vacuum. Shark is a good name brand if there is a part on your vacuum that cant be replaced they will replace the entire vacuum. They stand behind the product. I got this for a great price on black Friday so I now have one for my house and my old one I will clean houses with. It's a great item and it does it job. This vacuum cleaner is great. I love that I can just change the setting from floor to carpet and keep going. I could not believe how much debris it removed from my rugs the first time I used it. I am not sure my other vacuum was doing anything! Love this vacuum cleaner. Cleans up dog hair even better than my Dyson. Would recommend this vacuum cleaner and give it a 5 star rating. Easy to assemble. It’s the perfect vacuum for my floors. I owned one before and some of my friends said Dyson was better, so I tried a Dyson. Well it wasn't better so I went back to this Shark. It does work so much better and it weighs less and is easier to move around the furniture. I would recommend this to all my friends who think Dyson is a good vacuum! Love our sharks! We have one on each floor of our house now and love them. They are worth the money. Takes care of pet hair easily. Appreciate Overstock! Love this vacuum. I have a German Shepherd that sheds like crazy. Makes daily vacuuming quick and easy. Great for hardwood floors and carpet. Love!! Came just in time I needed for area rugs so this just great. Perfect replacement for our last Shark. 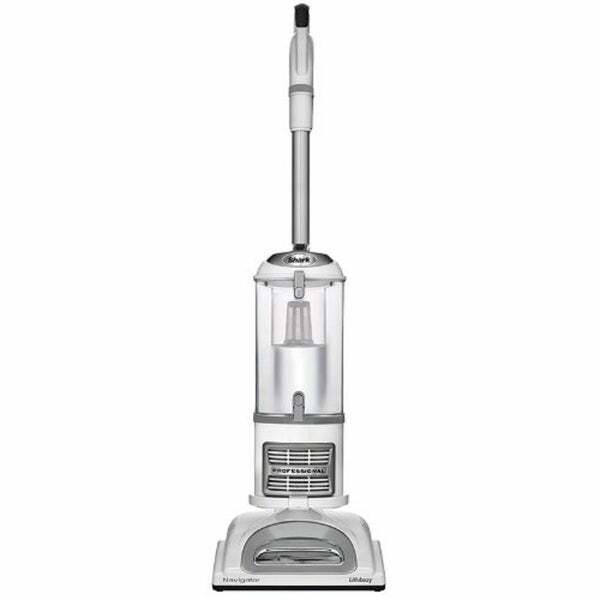 Great vacuum, best I’ve ever owned. The reviews for shark seem good. I'm ready to try the brand. This seemed like a good vacuum that will last a long time.